At Sydney Cove, where the city began when the First Fleet landed and settled here, is a good place to start seeing the sights of Sydney. Here you can find the well known Sydney Opera House, the Royal Botanic Garden and the Rocks. Set on the harbour, the Sydney Opera House is a jewel amongst famous buildings of the world. Its setting, on the harbour, only adds to its charm. 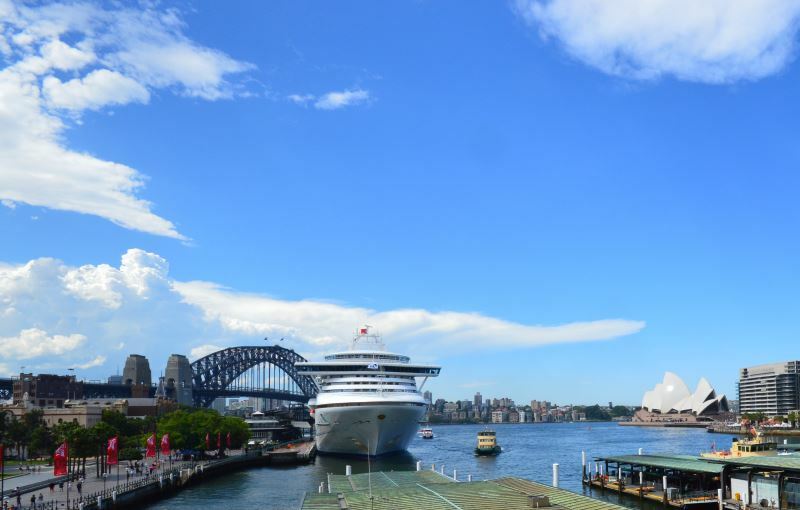 Here, too, you can access Sydney Harbour Cruises to take in the scenery of Sydney, or catch a ferry to one of the many destinations worth seeing on the harbour. The Royal Botanic Garden, only a short walk away from the opera house is also set on the harbour. Great for a relaxing getaway from the city environs. The Rocks is Sydney’s Historical District. Its many buildings have been restored to its early glory days, with all the modern conveniences. Its also a great place to experience the city’s night life, with an excellent and popular collection of restaurants, bars and pubs. Located just across the cove from the Opera House. The Art Gallery of New South Wales is located on the outskirts of the city centre (CBD). Here you can find not only the latest in art in ever changing exhibitions, but one of the finest collections of Aboriginal art to be found anywhere. The Sydney region is also famous for its beaches. Although they are all arguably scenic, one of the most would be Palm Beach, at the tip of the Sydney Northern Beaches. Another one would be the beaches at Cronulla. Accessible by train from the city. Most of it is backed by the Cronulla State Park, also nearby is the Kamay Botany Bay National Park. The beaches here are well worth seeing and the parks worth exploring. Known as the closest beach to the city centre, Bondi Beach is spectacular on its own. Also a place to enjoy a great day out, if not for the surf then for swimming, relaxing and enjoying the sights.